It is a common knowledge among businesses nowadays, whether big or small, that having its own website is one, if not the most essential aspect that they should consider if they want to keep up with the latest trends and get ahead with their competitors. A great website is used as a major marketing strategy tool by entrepreneurs and corporate owners. With the advent of more improved technology, it can be a very valuable and profitable asset as they have the ability to attract more potential customers and generate leads as well as sales. With that in thought, we have collected some HTML business website templates available in the Internet. 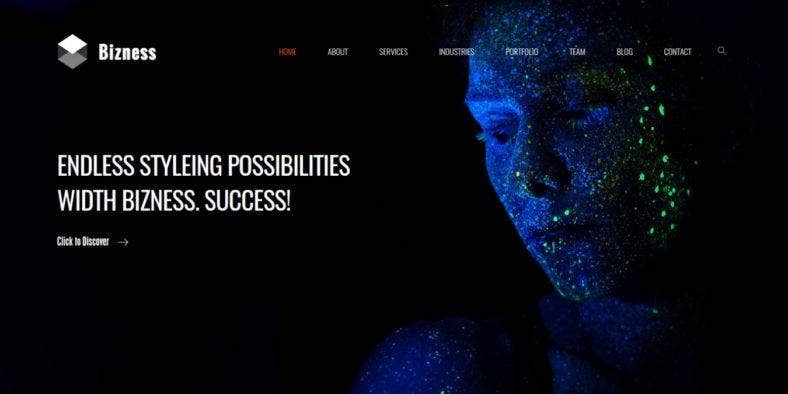 These themes are carefully selected to give your business the best starting website or the perfect upgrade for your existing one with state-of-the-art designs and the latest web design technologies. 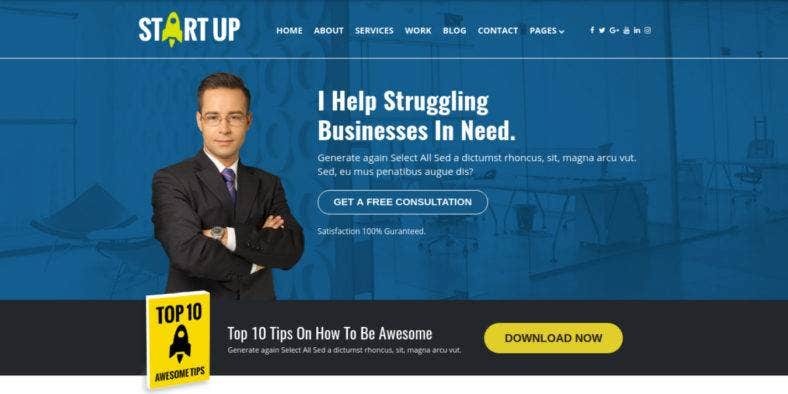 To make sure you give your customers an impeccable business experience, these cool website themes and templates are guaranteed to give a highly professional look and extremely functional features, with easy customization and lots of options. So, what are you waiting for? 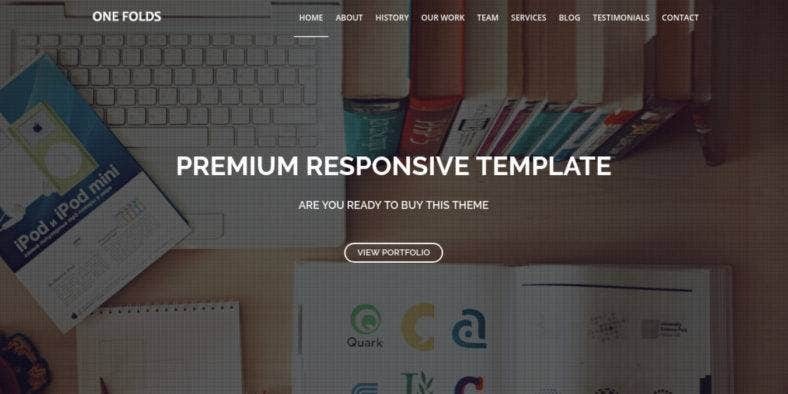 Dig in and enjoy this vast selection of website themes and templates made from various web design standards and platforms such as Bootstrap, HTML, CSS, jQuery, PSD, and more. To start with, here is Bizness. 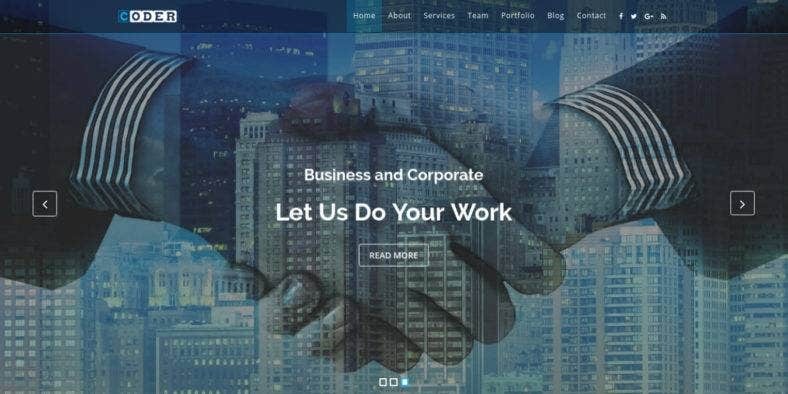 A corporate business HTML5 website theme with a clean and modern design which contributes to its unique aesthetic. Unlike common business websites, this template has an unusual but creative layout which makes it very interesting to users. The theme comes with various home page demos that you can choose from, so it suits your needs and preference. It also features a solid and gradient color variants for a design that is based on the 1170px Bootstrap Grid System and built on 15 fully layered PSD files. 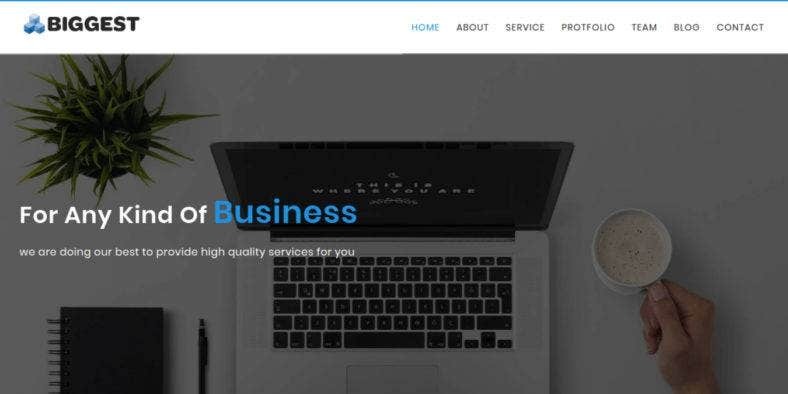 Next is White Label, a clean and minimalist website template made for multiple purposes of modern web businesses such as startups and web-based services. With a color scheme of white and blue, this template provides a straightforward look that is classy and professional. It comes with over 125 available pages to use, 15+ portfolio layouts, 75 advanced components, 13 header options, and a lot more components and features. over a modular framework, Framework Y, which makes this theme incredibly easy to use and customize. Then, we have this bright and colorful business HTML5 template, GooTheme. A responsive website theme with a modern design that perfectly fits any business, agency, startup, consulting, and marketing websites. Built with Bootstrap, it includes lots of cool features. Among these features are 4 pre-built color shemes, 3 different homepages, 4 various landing pages, an optimized header slider, multi-task informative block and sliders, blog pages with different columns, a portfolio page with Isotop style blocks, and so much more. A multipurpose HTML5 template, Baze Template is Bootstrap-powered and developed with HTML5, CSS, Tachyons, and jQuery. It is guaranteed to give full customizabilty and infinite design possibilities with its many features and a well-commented source code. This template features over 50 ready-to-use pages, dozens of ready-made components, 600+Font Icons, Google Fonts support, and many others along with various options for home page and the rest of the inner pages. Perfect for every type of personal business websites. Setup is a responsive website template with a modern and clean corporate look that fits well with any business, product or startup websites. It allows you to choose your own concept from over a hundred page layouts with 26 home page options, 200 UI elements, and more. It is fully responsive and retina ready, so your website looks great on all types of devices and all kinds of screen sizes. The theme also comes with a sleek eCommerce styling, a beautiful portfolio, and stunning blog layouts to help showcase your products or services. On the other hand, One Folds is a multipurpose HTML template characterized by a clean design and responsive layout with parallax effect. Carefully built in order to give your visitors a wonderful user experience, this template works well with personal and freelance businesses. Aside from the key web pages, it also includes a blog page as well as a Mixitup portfolio. Powered with Bootstrap and built with HTML5 and CSS3, this theme is easily customizable with well-organized and well-documented files. It is also compatible with major browsers. If you’re looking for a dynamic website template for your startup business, then, Blockus is the perfect theme for you. 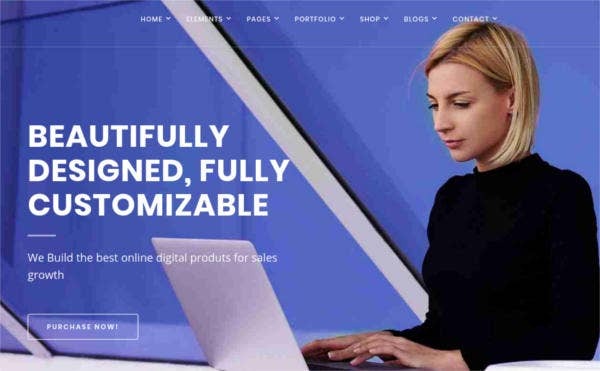 This handy and stylish website theme for businesses comes with a clean and powerful design that can introduce and launch your new products very well. Built with Bootstrap, the theme is fully responsive and is adaptable to all screen resolutions and aspect ratios. It also includes lots of useful features, for example, its additional HTML elements, set of CSS components, a grid system, differentiated navigation, and more. The modern and professional-looking website theme you see above is another multipurpose and high-quality responsive HTML5/CSS3 template which lets you create an outstanding website for your company, business, blog, and even personal websites. Its features include a 4+ column layout, an image background, a jQuery Countdown, Font awesome icons, and more on a super responsive design and awesomely unique look with parallax scrolling, smooth transition effects, amazing functionality, and so much more. Speaking of unique, the next website theme is a fully responsive, one-page website theme made from the Bootstrap framework with valid HTML5 and CSS3 standards. Pioneer Consulting is characterized with a split-screen layout with the main menu on its sidebar area. Moreover, it is based on a solid code and makes use of the latest jQuery and CSS3 techniques to create striking animations and stunning effects that your visitors will surely love. The template is guaranteed to work well with business websites, creative agencies, and blogs. 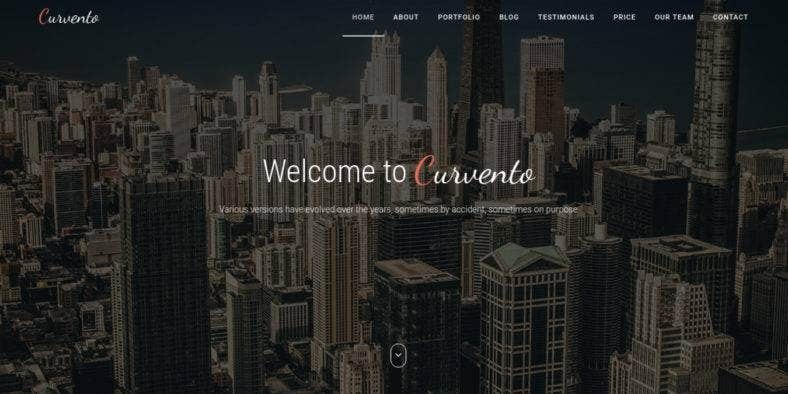 Curvento is another one-page HTML website theme built for multiple purposes. 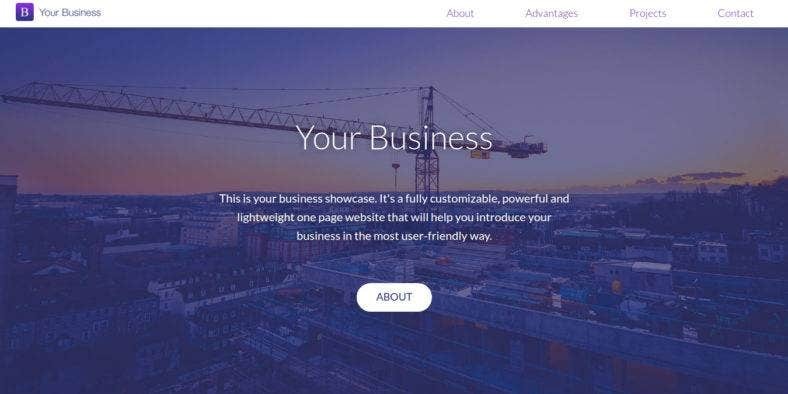 Based on the latest Bootstrap framework, it contains 6 pre-compiled color schemes as well as other basic elements that you can use and modify according to your business needs. With an ultra-responsive design, this multipurpose website template also features CSS animations, fee Google Fonts, a thousand free icons, and a simple feedback form. Its files are completely structured, so the template is easy to use as well as customize. This fresh and lively HTML website template provides a professional but fun take on the corporate and business world at the same time. Executive has a modern and clean layout over a fully responsive and mobile-ready design that works well on both desktop and mobile devices. It comes with 3 different design concepts and two home page options that can be customized effortlessly as it is based upon the Booststrap framework and built with HTML5 and CSS3 standards. It also features custom JS Script for animation, Google Fonts, and many others. Any implication from this template’s given name is proven true and correct with Biggest‘s wide array of features and options. 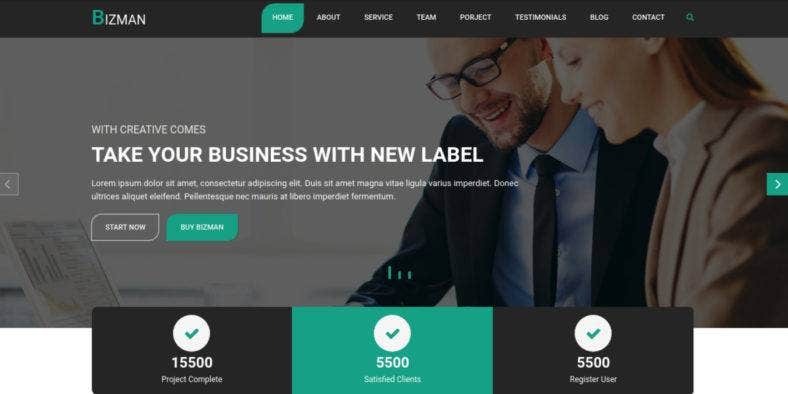 A modern, responsive, one-page business and corporate HTML5 theme, this template is one of the best choice for your business-related websites. This theme includes features such as a fully responsive layout, several home page options, a single-page blog, a fixed navigation bar with scroll effects, smooth page scrolling, Font Awesome icons integration, and more on a unique and highly creative design. 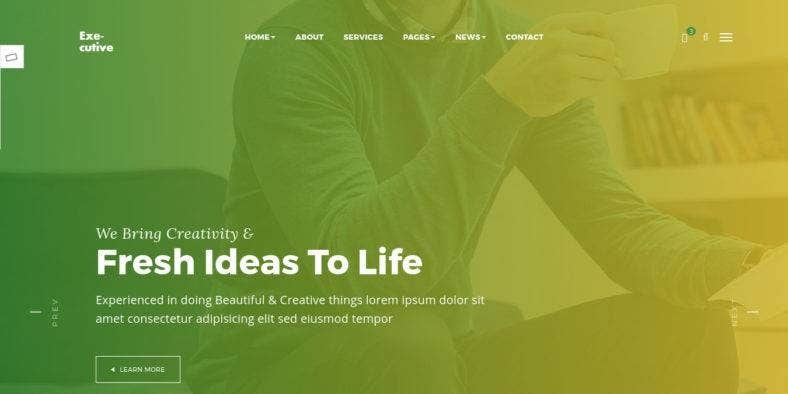 On the contrary, Easy is anything but simple as it includes a number of robust and dynamic features which make this theme a great option for agency, corporate, startup, and other small business websites. It is a one-page website theme built for various and multiple purposes. Developed on the Bootstrap framework, the template boasts of its high customization abilities, along with other features such as the parallax slider, smooth scroll effect and animations, an integrated pricing table, fully responsive layout, and cross-browser compatibility. 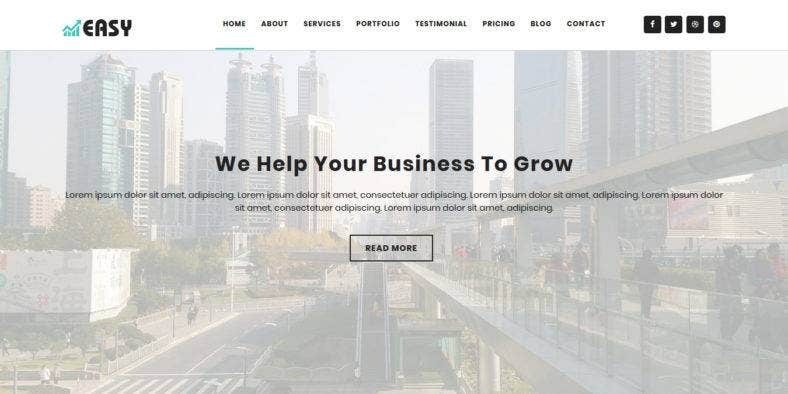 The next business and corporate website template you see above is another one-page responsive website theme built with corporate, finance, consultancy, business, firms, and startup websites in mind. Dream has a clean and modern design with a unique twist. With the Bootstrap framework on its helm, the theme is also retina-ready and mobile-optimized, so its element as well as its overall layout adapts well on any modern devices with various screen resolutions. It also includes lots of options and easy customization features. 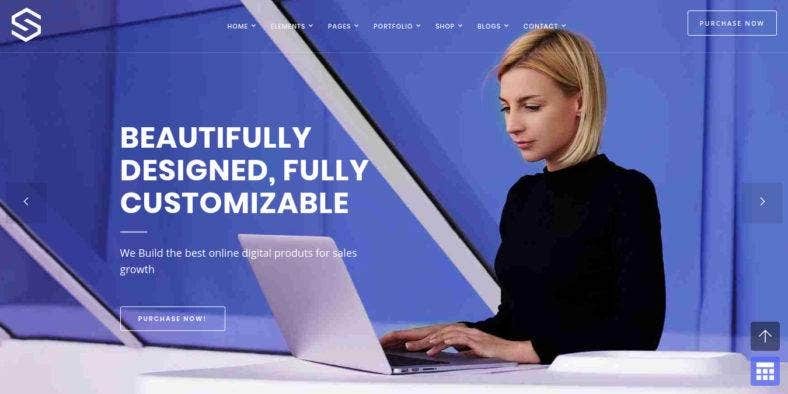 An attractive and creative website theme, Coder is a one-page, multipurpose business HTML template that comes with a smart and unique design, so it is easy to customize and fit with any business niches. It can also be used for personal portfolios, blogs, and landing pages. Built with Bootstrap 3, HTML5, and CSS, this template is 100% responsive and mobile-friendly with a creative and modern flat design, integrated with Font Awesome icons and other useful features that can be modified easily through a clean and well-commented code. For bigger industries and huge business projects, consider taking a look at Alfa Industries. 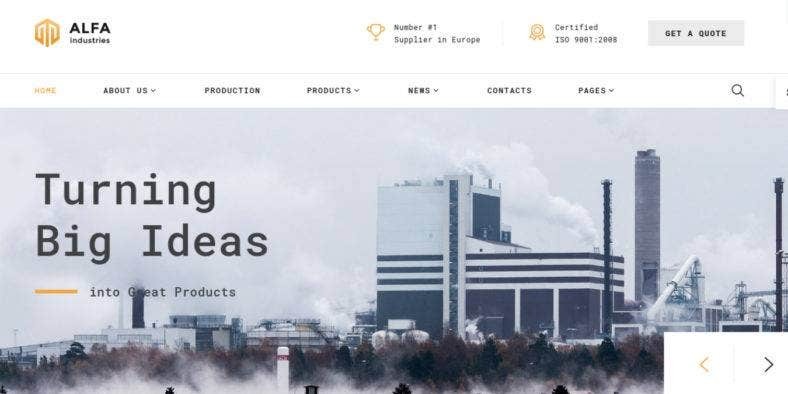 This heavy industries multi-page website template is consists of a rich UI kit, over 35 ready-mage HTML5 pages, different header and footer variations, and a variety of working forms. 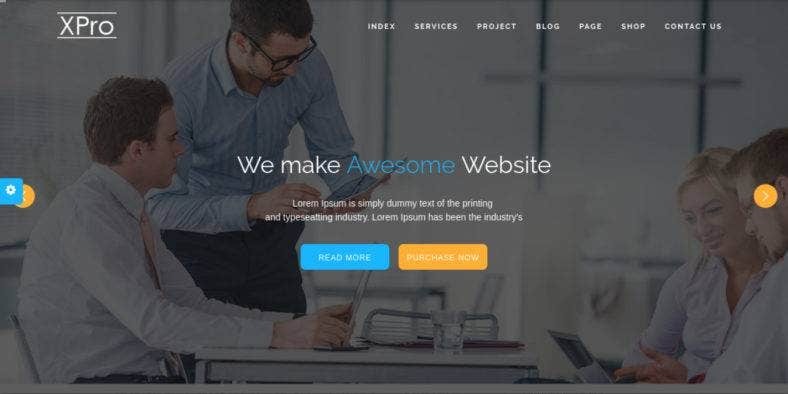 A Bootstrap-based solution for businesses looking for highly functional website to showcase their products and services online, this rather clean and awesome website template is packed with tons of customizing options to create a powerful website that fits your brand image. This multipurpose business template comes with a responsive layout built with the latest Bootstrap 3.3 framework. Facilis is an extremely functional business web design tool as it includes useful features for businesses, startups, agencies, and other organizations. It comes with a Live Search and contact forms for easy navigation and lead generation, respectively. It also features a slider, multiple header and footer layouts, various gallery types such as grid, masonry, and cobbles, a counter, and an eCommerce page template. Another multi-page website template with a clean and minimal design is Corp. As part of the Monstroid 2 family, this responsive consulting firm and business consulting website theme includes over 45 ready made HTML5 pages all of which is consists of a rich UI kit. Along with multiple header and footer layouts, 4 bog layouts, and other layout options; you can also get working contact, newsletter, and subscription forms. For easy usage and customization as well as high ranking, the theme uses a W3C valid, well-commented, and SEO-friendly code. 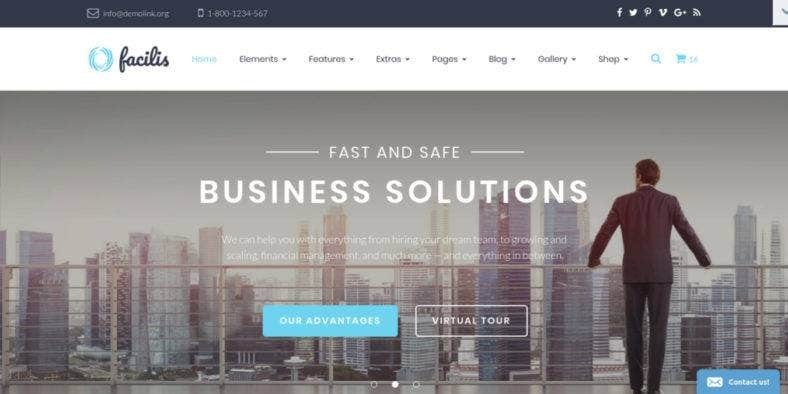 Reinsure is a multipurpose HTML website theme built especially for insurance companies but can also be used for other business-related websites. It comes with a wide choice of pre-defined pages, blog layouts, rich UI elements, multiple gallery types, and a slider among others. With this collection of options, along with other essential and functional features included in the theme, you will be able to find the best solution for your business websites. Furthermore, this template also includes login, contact, and subscription forms as well as social links. Next is another powerful multi-page HTML theme for large businesses and bigger industries. 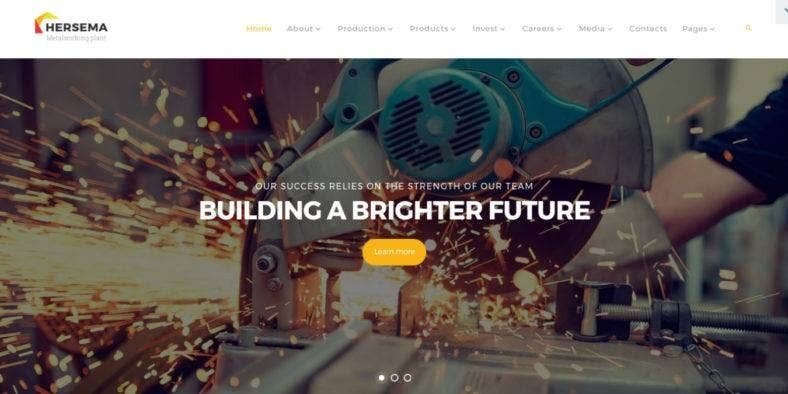 Hersema is an factory and construction website template that will definitely give your website an outstanding online presence with over 30 ready-made HTML5 pages to choose from. Aside from that, this template also allows you to play around a huge set of UI elements and blocks to create a fully responsive and dynamic website that will catch the attention of your potential clients and keep them interested with your products and services. 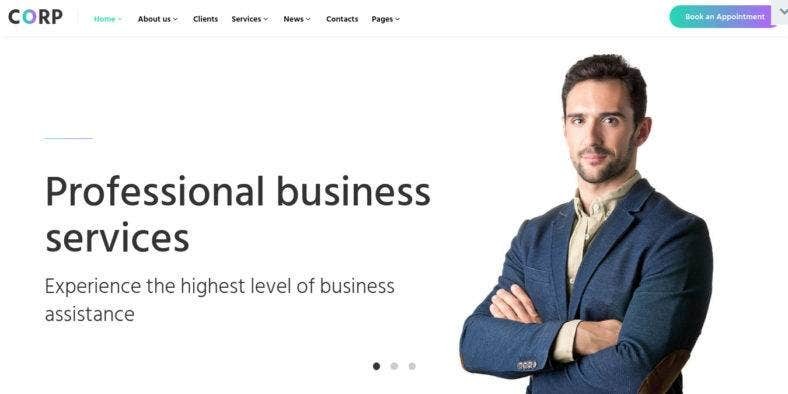 A one-page business and personal website template, Bizman offers a classy and sophisticated that is perfect for any corporate or entrepreneurial businesses. It includes 8 clolr skins, 3 home page layouts, a sticky and sidebar header, a blog page, an awesome slider, and so much more. This modern and creative template is based on the Booststrap framework, that is why it is fully responsive and easy to customize. It looks equally great no matter which device it is viewed on, and it lets you customize your website according to your preference and business’ needs. The business website theme you see above is a fully responsive HTML template with a clean and fresh design that is simple to use and easy to customize as it is built on the Bootstrap framework, along with an optimized code and available detailed documentation. 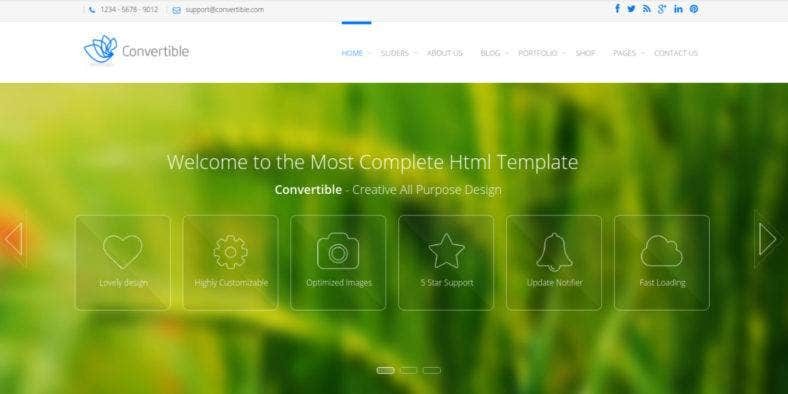 Convertible also boast of its amazing CSS3 effects and animations for more visual appeal, Google Web Fonts and Font Awesome icons for gorgeous typography, a working Contact Form to keep in touch with your visitors easily, a Google map integration, and many others. 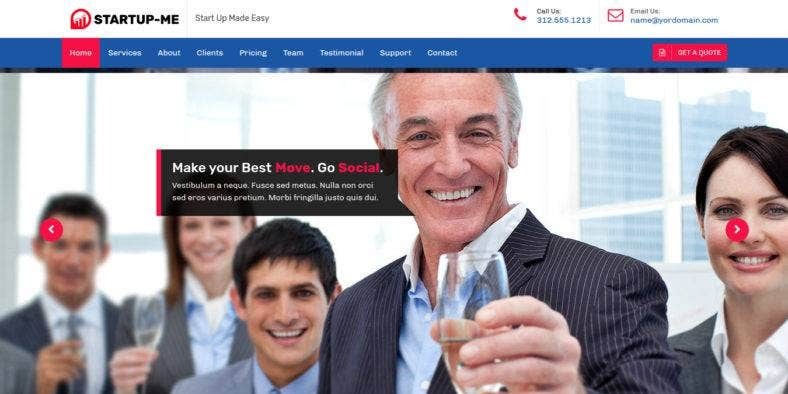 Another responsive Bootstrap website template for your startup businesses, StartUp presents a modern one-page layout with parallax effects which provide a great visual aesthetic to your website. Together with bright color combinations, it will surely draw anyone’s attention. The template also comes with a choice of wide or boxed layout which supports patterns and background images. It has multi-level drop-down menu and built-in Breadcrumbs for easy navigation, a filterable portfolio, tons of Google Fonts, hundreds of icons, and more. 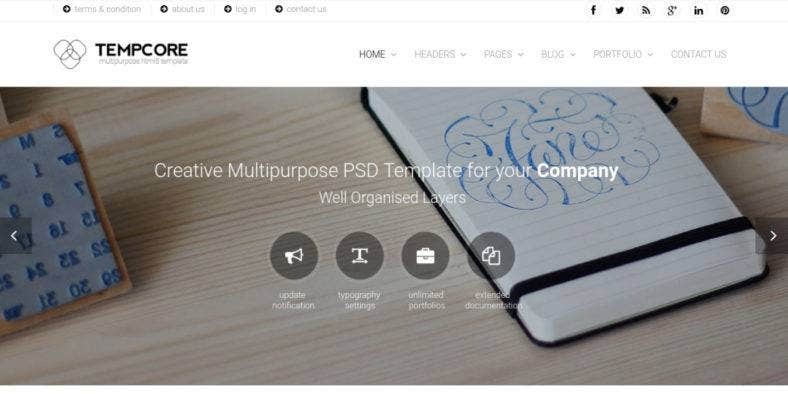 Meanwhile, Tempcore is another multipurpose HTML5 template made for business, big and small. With 32 HTML5 page templates included in the package, you can create a pages and build the website that you want, along with its other features and options available. These features include a fully responsive layout, a Revolution Slider, Flex Slider, pricing tables, awesome CSS3 animations and effects, optimized code, a working Contact Form, Google Web Fonts, Font Awesome icons, detailed documentation, and so much more. 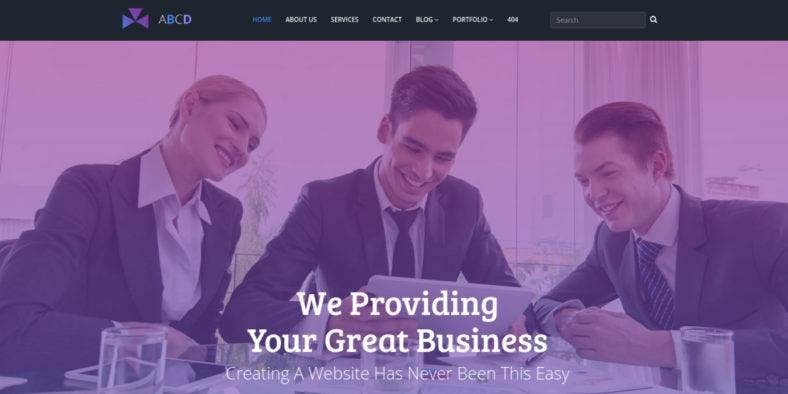 XPro Business is a business, agency, and corporate website theme that is developed for use in industrial, manufacturing, and factory businesses. With the proper use of web design standards and practices, this website template is robust in functionality and flexible in design. Fully responsive, it looks beautiful on any screen size of various devices. It also comes with 14 pre-defined color skins, compatible with all major browsers, SEO optimized to rank high in search engines, and includes a detailed documentation of all the theme’s customization options. 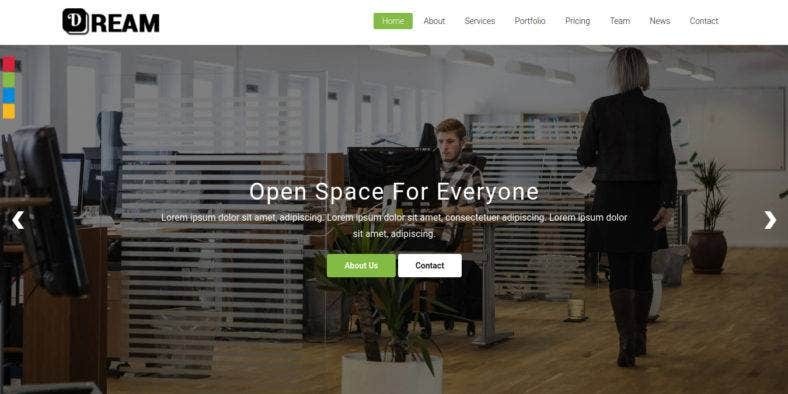 Here’s an HTML landing page template for startups that can also be used as a one-page website template. 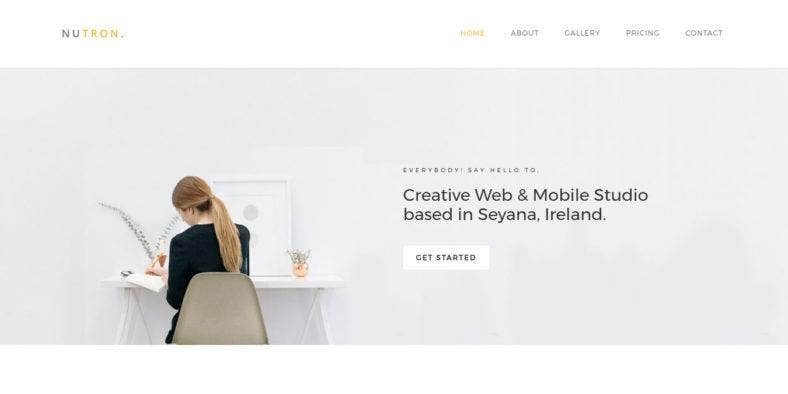 StartUp-Me is a responsive HTML theme that is suitable for any startup business or existing online business that needs an upgraded web presence in a very short time. It is characterized by content sections that are needed for a business to showcase their information, skills and services; along with 3 page options, easy color change, Youtube video support, working Simple Ajax Contact Form, Font Awesome icons and Glyphicons, etc. 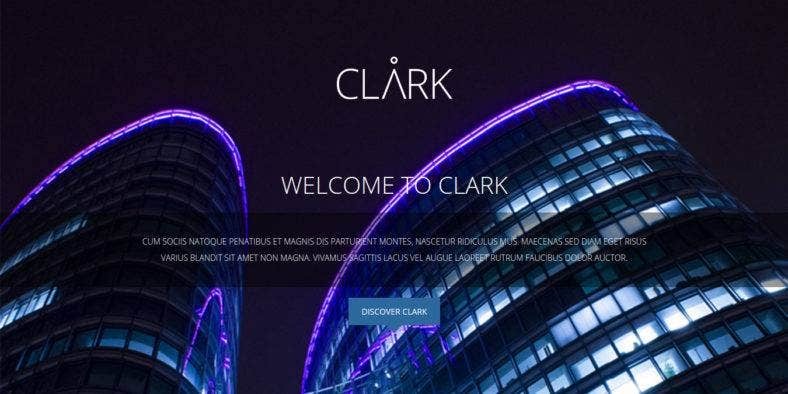 The modern and stunning corporate one-page website and landing page template you see above is Clark. This responsive website theme built on Bootstrap 3.2 with with HTML5, CSS3 and jQuery comes with a great style of dark and modern aesthetics with blue motifs. Aside from its visually stunning and eye-catching look, the template also features a parallax effect, awesome jQuery animations, Google Fonts support, hundreds of icons, a working form,a an image gallery with mobile support, custom action buttons, a full-width map, and more. With a dainty and soft-looking design, Reckless is the perfect business website template to use for lady bosses. Together with its beautiful color scheme, it also comes with a unique but clean layout which helps highlight the content of your website more, be it products or services. It also includes a bunch of amazing CSS3 effects and animations to boost your website’s visual appeal, a clean and optimized code for easy customization, Google Web Fonts and Font Awesome icons to create fabulous typography, and a lot more options and features. 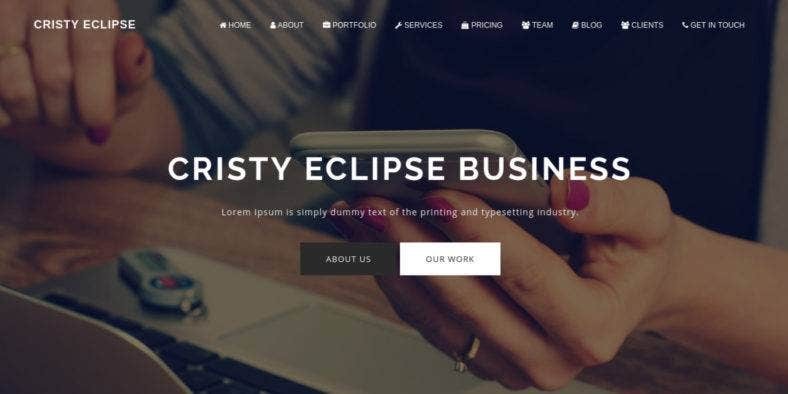 A one-page, minimalist HTML business template, Cristy Eclipse is an advanced Bootstrap HTML theme for business, freelancers and creatives. 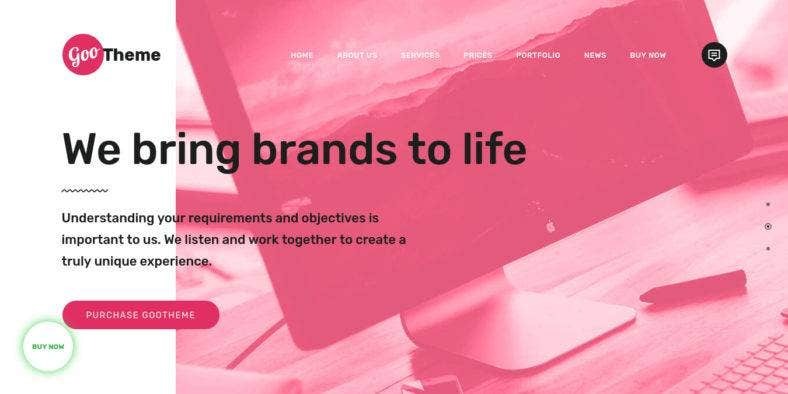 Built with the Bootstrap 3 Grid System, it has modern and trendy design that you can use for companies, agencies, portfolios, etc. 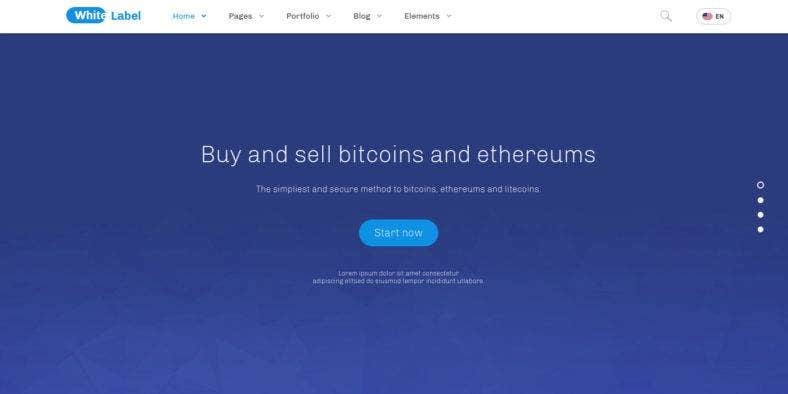 Additionally, it has a fully responsive design with a number of cool features which includes Google Fonts, Font Awesome icons, a FlexSlider, Wow Animation, simple Contact Form, and much more. It is also cross-browser compatible and is easy to use and simple to customize. Then, we have Your Business. As it’s name implies, this one-page website theme gets more personal as it offers extreme customization capabilities. These enable you to build your business website according to your taste and needs in just a matter of a few minutes. 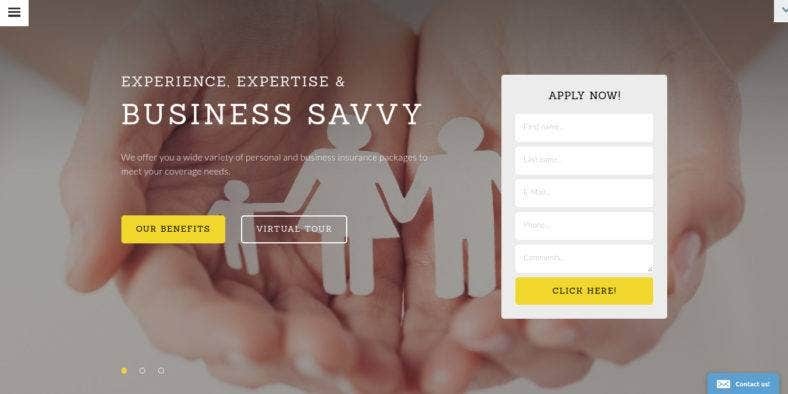 It includes 3 template options to choose from, with one designed for construction companies, another for corporate websites, and the last one for other business ideas. All these templates are characterized by elegant designs that are powerful, lightweight, and easy to modify. To end this list, here is a super minimal business website template that presents a simple and clean design with lots of white space to highlight the content of your website by making sure that your audience’s focus is directed towards your products and services. Its main features include a fully responsive layout that uses standard HTML5 and CSS3 practices for easy customization and adaptation into various types of devices and different kinds of browsers. it also include Google Fonts for a gorgeous typography. In this era and at this point of time, it is essentially imperative to have a good working website no matter how big or small your business is. This is to make sure that your products and services are present on the Internet and can be seen by a larger amount and wider range of your target market, otherwise, you will miss a lot of opportunities and potential customers. That is why we made sure to collect these modern and trendy business website templates for you to use and find inspiration from. With awesome looks and great functionalities, these themes and templates are made certain to not only draw anyone’s attention, but to keep them coming back to your website for more and eventually building brand loyalty. 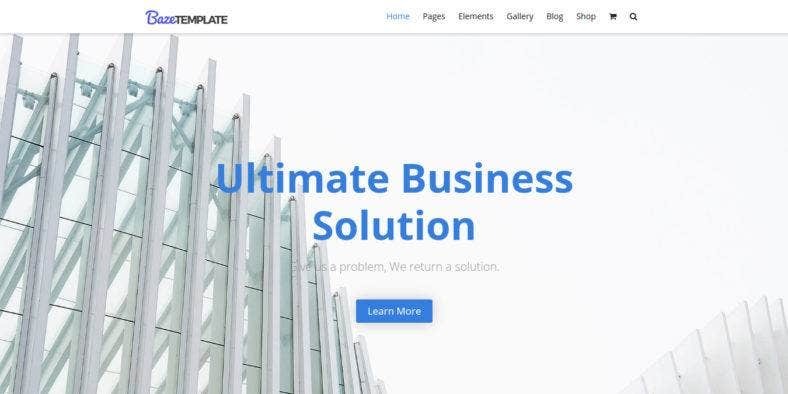 In case you want more ideas and inspiration, you can also take a look and check out our extensive compilation of business themes and templates with items from different platforms, such as WordPress, Magento, Joomla, Drupak, Shopify, VirtueMart, and more.